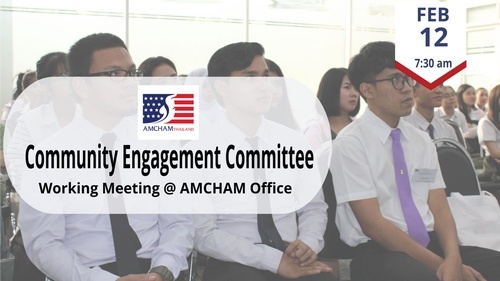 Join us for the Community Engagement Committee meeting. We will discuss our plans for 2019 including new applications for the scholarship program. There will also be discussion on the 2019 Silent Auction at the Governors Ball and we'll discuss strategy for the other fund-raising activities for our scholarship program. This is a working meeting and we are always seeking new people with new ideas to help us design and implement effective projects. All are welcome to attend.